4. Color of diamond is usually pale yellow to colorless, but can also be brown, blue, green, orange, red, pink and black. 5. 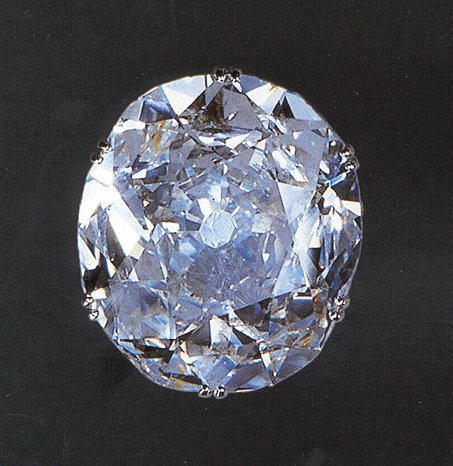 The Koh-i-Noor diamond was found in India and once thought of as the largest diamond in the world. It is now part of the British Crown Jewels in the Tower of London. 6. Under extreme high pressure, diamonds can be made from peanut butter. 7. Diamonds are dense enough to slow the speed of light travelling through it by more than half. 8. The world’s largest diamond was big enough to create 2,633 average-sized engagement rings when it was dug up in 1905. 10. Over 75% of the mined diamonds go to industry each year, with such applications from windows to phonograph needles and just 25% are of gem quality. 11. Diamond’s thermal conductivity is higher than other colorless gemstones, and four times higher than copper! 12. 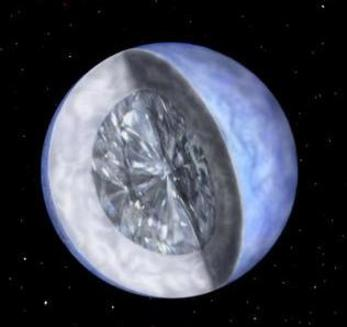 Twinkling in the sky is a diamond star of 10 billion-trillion-trillion carats, astronomers have discovered. The cosmic diamond is a chunk of crystallized carbon, 4,000 km across, some 50 light-years from the Earth in the constellation Centaurs. It’s the compressed heart of an old star that was once bright like our Sun but has since faded and shrunk. Astronomers have decided to call the star “Lucy” after the Beatles song, Lucy in the Sky with Diamonds. 13. Did you know that 1 carat = 0.2 grams or .007 ounces? 14. Diamonds were originally found and mined in India, Brazil, South Africa, Angola, Botswana, Namibia and Congo; however today, diamonds also come from Guinea, Lesotho, Siera Leone, China, Tanzania, Ivory Coast, Guyana, Central African Republic, Canada, and Australia.